Strong demand for the new Superb was a big reason why Skoda was able to boost its return on sales to 8.7% last year from 7.3% in 2015. Skoda delivered parent Volkswagen Group a memorable gift on the Czech value brand's 25th anniversary as a subsidiary of the German group: profit margins that topped those of luxury sister brand Audi. Skoda's reward is a high-profile assignment. VW Group CEO Matthias Mueller has entrusted Skoda with the strategically critical development of a budget car for emerging markets with Indian partner Tata Motors. "I have known Skoda for a long time now and I know what it's capable of, so it was pretty clear that we should give it leadership for the [subcompact] platform and therefor for this project," Mueller told reporters. "We feel very comfortable with that and are happy that Skoda accepted this responsibility, it's absolutely not an easy assignment, as you can imagine, but they will achieve it with verve." Skoda was chosen because it has proved to be VW Group's benchmark for building stylish, yet inexpensive cars. Thanks to a surge in sales of one of those cars, the high-margin Superb flagship sedan, Skoda's 2016 operating income soared past the 1-billion-euro mark for the first time, rising 31 percent to 1.2 billion euros and lifting its return on sales to 8.7 percent from 7.3 percent in 2015. Not only was this a significant improvement over the previous year but Skoda even managed to leapfrog Audi to become the group's second-most profitable business after Porsche based on margins. Audi's return on sales dipped to 8.2 percent last year from 8.8 percent in 2015 due to a range of negative effects including exchange rate headwinds, heavy pricing pressure and high upfront expenditure for new products and technologies. Factor in financial hits from VW Group's emissions-cheating scandal and the recall of Takata's defective airbags and Audi's profitability looks far worse. Meanwhile, Skoda's net cash flow, a measure of how well a business can finance its own growth internally, increased to a record 1 billion euros, representing almost a quarter of the overall figure for VW Group. Mueller took time out during his annual press conference in Wolfsburg in March to thank Skoda for its strong 2016 results, singling out the carmaker for praise as "particularly impressive." Part of the brand's success is due to it being the furthest in the group when it comes to rolling out cars affordably designed and built using the modular MQB architecture. Analysts say Skoda has demonstrated the enormous earnings potential the VW brand can unlock once it too benefits from these same economies of scale. For Skoda's success story to continue, however, it will have to overcome some macroeconomic issues, such as a tight job market in the Czech Republic, which in February had an EU-low unemployment rate of 3.4 percent. Skoda human resources boss Bohdan Wojnar recently warned of "deficits" and "current challenges" in the country when trying to attract enough skilled labor to sites such as its factory in Kvasiny, where Skoda is fighting to keep pace with strong demand for the next-generation Superb, which debuted in mid-2015. "The number of applicants is falling swiftly, while the number of vacancies is on the rise," he complained. To get and retain workers, automakers also are being forced to pay more. For example, in March Hyundai had to give workers in Nosovice a 12 percent annual raise. As the largest private company in the country, the upward pressure on wages in the sector will likely affect Skoda, as will foreign exchange headwinds, which threaten to diminish its profit margins. The Czech National Bank abandoned a 4-year-old cap on the Czech crown, which immediately led to an appreciation in the currency and hurt domestic manufacturers' global competitiveness. 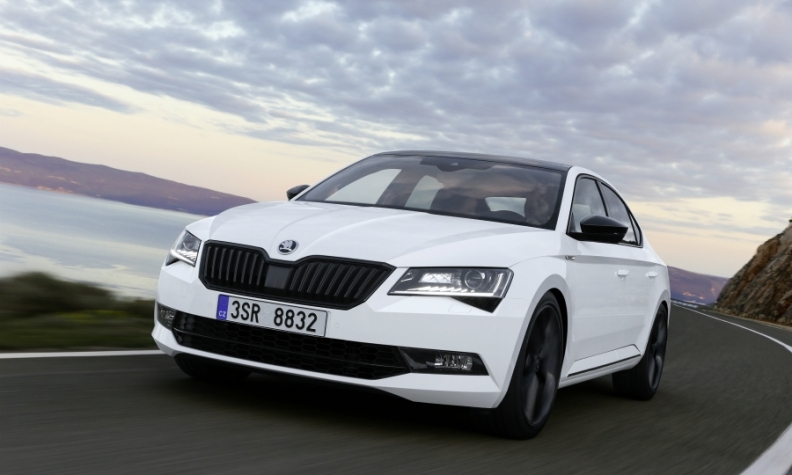 Due to these factors, German auto analyst Frank Schwope of NordLB doesn't believe a volume brand such as Skoda can maintain premium margins, citing temporary effects such as a sales mix boosted by the new Superb. "It is not sustainable over the longer term,2 Schwope said. 2I expect that to shrink back to a more realistic range between 5 percent to 7 percent. The person in charge of keeping Skoda's surge going is Bernhard Maier, a former Porsche sales chief who was promoted just days after his boss, Mueller, stepped down as CEO of the sports car maker to replace Martin Winterkorn as head of VW Group. Maier, who started in November 2015, hopes the new deal with Tata to develop a budget car for the India can position Skoda for growth in other dynamic emerging markets. "This development is a great success and proves the confidence the Volkswagen Group has in the potential of our brand," Maier said, adding that this is the first time Skoda has been assigned responsibility for an entire platform. If successful, the budget car could resurrect the brand's fortunes in India. Once one of its largest markets with 2012 sales peaking at more than 34,000 -- more than the brand sold in France --Skoda's volumes in India dwindled to just 13,000 last year. Experts have placed some of the blame on the group for its clumsy attempt to reposition Skoda in the process of introducing the VW brand to India in 2007.